PET Asl bottle is exclusively designed and developed in accordance with international industrial standard. These are admired for its fine finish and designer appearance. 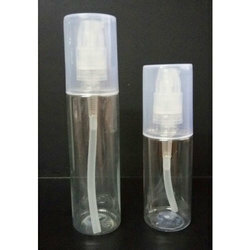 We are the foremost company of Airless Serum Bottles. To uphold the quality, our products are made under the direction of industry proficient experts. In addition, we present this product at low costs. We are among the prominent Bottle manufacturers in India as well as international market. In addition, we are one of the most trusted cosmetic packaging containers suppliers in India and abroad. Our superlative cosmetic containers helps against leakage of product inside container. Our containers are available in various shapes and sizes. This new bottle capacity 30 ml for pharmaceutical used as serum or any treatment like hair with the Color of transparent, Matt and shinning.